Once again, warmer weather is upon us, and all across Missouri people are preparing for a good old-fashioned spring cleaning. 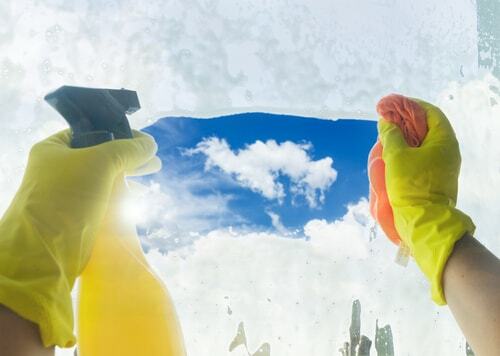 It’s the perfect opportunity to finally open up the house and let some much needed fresh air into the house, scrub down the floors and baseboards, and generally remove the layers of dust, dirt, and grime that has accumulated over the long winter months. While it may not be the first thing that comes to mind when you think of doing your spring cleaning, this is the perfect time to put a little polish on your finances. While it has been almost four months since Christmas, you might still be carrying debt from holiday spending. And speaking of holidays, did you make any New Year’s resolutions regarding your finances or spending habits, and if so, are you sticking to them? Take a moment to check out these simple spring cleaning money tips to get your financial house in order for the coming year. Much the same way dirt and grime can accumulate around the house over the winter months, a layer of confusion and uncertainty can settle on your finances over time. If you’ve been lax in the accounting department over the past quarter, now is the time to give the numbers a closer look and see where you stand. The first step is to get a solid number when it comes to your credit card debt. If you are carrying revolving debt, you are probably paying anywhere from 15 to 30% APR on it, which is a financial anchor around your neck. Also, make sure you are current on all your other monthly bills to avoid late charges, overdraft fees from your bank and possible damage to your credit score. 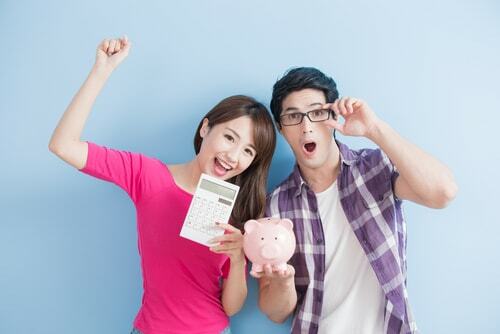 An easy way to avoid these charges is by getting a cash advance. And speaking of credit scores, this would also be an ideal time to see where you stand. Your credit score determines the interest rates you receive on financial products like car loans, mortgages and credit cards, as well as whether you pay a security deposit on your utilities, qualify for a rental property or qualify for the best rates and phones from your wireless carrier. Protect your credit, and check it often. Developed by financial expert and money guru Dave Ramsey, the snowball method is brilliant in both simplicity and efficacy. The basic idea is to target your smallest credit card debt and put all of your resources toward paying it off while only making the minimum payments on your higher balance cards. Once the smallest balance is paid off, move on to the next highest balance card and repeat the process. Much like a snowball rolling down a mountain, the financial momentum that is gained when the resources from a paid off card is applied to paying the next one down increases exponentially. Before you know it, all your credit cards will have a zero balance, which is an ideal time to either cut them up or cancel them. Part of a good financial spring cleaning is to purge your debt, and what better place to start than with credit cards? 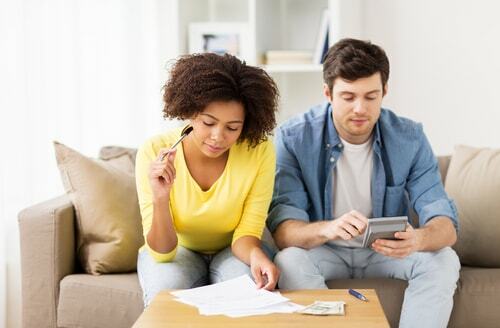 Another important part of going through your finances is examining your spending habits. Many of us are wasting money on daily basis and don’t even realize it. This can happen in a variety of ways, but one of the most common places where our budgets hemorrhage money is the little day to day purchases that add up over time. For example, a daily stop at the coffee shop instead of carrying a thermos from home can equate to well over $1,000 in wasted money over the course of a year. The same holds true when it comes to eating during the workweek. While it is nice to head out to a restaurant for lunch with co-workers from time to time, doing this on a daily basis can be a substantial financial drain. Another problem area is the number of times you and your family eat out or bring home carry out. Over the course of a year, the average family spends over $230 a month eating meals prepared outside the home, which is substantial if you are working with a tight budget. Another part of spring cleaning your finances is rooting out places where you are passively losing money. For example, are there subscriptions or monthly recurring charges on your bank statement for service you are not using or never signed up for? Quite often, a “free trial” becomes a subscription without our noticing, or a well-intentioned gym membership ends up going unused. Also, check for introductory rates that may have switched over to standard cost. Last but not least, when was the last time you compared rates on services like your homeowners or renters insurance? Many companies offer substantial discounts when you combine these coverages with your automotive insurance, so use this time as an opportunity to shop around. That also applies to your mobile phone rates, cable subscription or any other service where there are alternatives or competition. Finding the best prices for the services you use is up to you, and often getting a better rate is as simple as asking.